Do you want to get followers and likes foryourInstagram account? Install the app and boost your profile now! Do you want to get followers and likes foryourInstagram account?Install the app and boost your profile now! - Do you want to know who viewed yourInstagram profile recently?- Discover who visits your profile, strangers who stalks yourprofile, your secret admirers.- Do you think there are ones that are stalking you? Maybe you arejust wondering who is looking my Instagram profile. With our app,you can see the ones who are spending lots of time by looking atyour profile. You can have this data daily, weekly and monthly withthis app.- Do you ever wonder I am following them, are they also followingme? If you do so, answer is inside the app. With our app, you cansee the ones who don't follow you. Rest is up to you. :)------ This app analyzes users who are looking at your profile mostlyand their data in order to give you necessary info. At the end, youhave the top users that view your profile recently.- In order to protect you from unwanted ads and pages and videosthat make you wait for a long time, our app does NOT CONTAIN ADS! !By signing in with your Instagram account, you can have all thedata presented by our app.- You can send all your comments and suggestions [email protected] All your comments are important forus.NOTES:- This app is a thirdy party application and does not have any linkwith Instagram LLC.- We never share or post anything on your Instagram profile.- Your Instagram account info is no way REQUESTED or STORED.- This app processes the data with our algorithms and shares withyou. It may not give 100% correct results all the time. Ouralgorithms are being developed day by day and their correctnes arebeing improved. Found some interesting profile onInstagram?Wanna know who has interest on your posts? With this appyou notonly can get more insights about your profile, it also canunlockmany secrets of your friends. With this Followers Insights, you can easilycheckyour followers (your gained and lost followers, mutual friends and fans).It's fast and extremely intuitive.How many new followers you have got?How many old followers you have lost?Who viewed your profile recently?Who blocked you? Who is ghost follower?Who you liked but not following?What’s more! 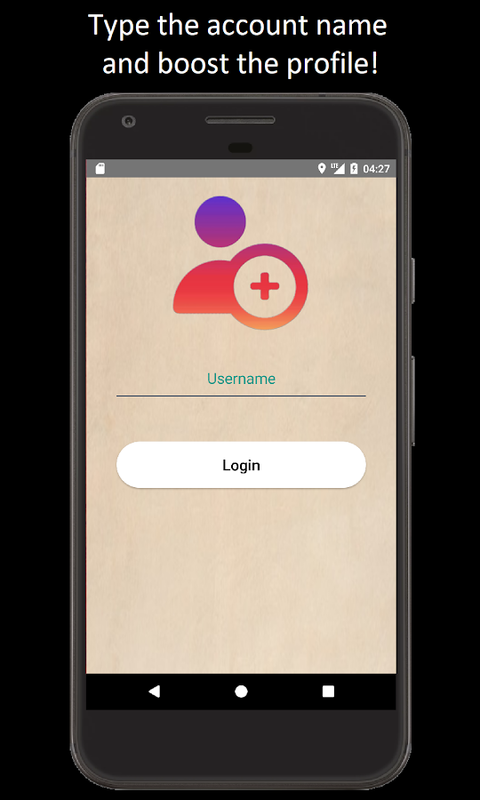 You can even know when people like you & what they have commented on your posts.With our app, you can successfullymanage your accountsand know more about what other users like/dislike, you will be able to attractmoreattentionseasily. That’s right what we aim to help you with. Note: You need to have an Instagram account to use this app. Followers Report: Get Comments for InstagramLikes offers deep analytics tool for your instagram account. Itprovides valuable and important data that is essential to effectiveInstagram account, It analyzes your Instagram posts and calculateall the likes, followers and unfollowers, and also help you to findout who likes you most! See your real followers and fans! Followerswho followed you.The data it will analyze:Instagram followers: The total number of followers onInstagramInstagram followers: Followers Growth curveInstagram followers: The detail list of who you followed but notfollower backInstagram followers: The detail list of who followed you but youdidn’t followeringInstagram Likes: The total number of likes you got for medias inspecific timeInstagram Likes: The most liked mediaInstagram Comments: comments per mediaInstagram Comments: medias got most commentsInstagram Comments: Most liked commentsER, measure the popularity of your photosER=likes+comments/followersWhy to use:- Easy and fast to use. Promote your Instagram account.- Good analysis tool for your account, and help you get more likesand followers andunfollow the ghost followers.- The powerful likes and followers management for Instagram.- Follower the one who followers you, a tool forfollow4follow.- Post more medias which have potentials to gain more likes andfollowers for instagram. For mobile phone users, with multiple game accounts, socialaccounts are very common. So in the case of only one phone, how canwe log on multiple accounts and use it?Application of CloneChat isa popular global, free application (game,LINE,whatsapp,facebook,wechat,QQ) double open, avatar tool. Users can use theartifact when landing multiple accounts, work, daily information toreceive correct, and the information independent of each other. Isa use after you fall in love with the application.【Application oftwo accounts open】A mobile phone can achieve two accounts at thesame time landing, both sides of the information received are notwrong, and to ensure the independence of information. [Switch at anytime]Double at the same time online, at any time switch, do nothave to log out.【Safe, Privacy】All user information is protected,security hidden.Download it now! Let your phone function to play tothe head, to your life more than a wonderful! Meelan is the first social media app designed for the Pakistanipeople. Free to use, more private and with the freedom to dowhatever you desire. Connect with friends & family or getacquainted to strangers. Control how you choose to use theapp. *WHAT’S NEW* Thank you for using Meelan! The wait isover! You asked, we listened. Meelan is back with a HUGE andIMPROVED update just as you wanted it! We are excited to share thenew update with you and hope that you will absolutely love it.Thank you to our users for giving us feedback and for reportingproblems. We work night and day to make Meelan better for you. Thenew update comes with a lot of bugs fixes and improvement to give auser friendly and seamless experience every time you use Meelan.Thank you for the tremendous love and continuous support. For adetailed info on what’s included in the update, please see below.Added features: • All new video interface for an uninterruptedexperience. • Add your favourite music/dialogues to your videosnow. Browse from thousands in library or add your own. • Now youcan keep a collection of your favourite videos, pictures and musicto view them easily whenever you want to. • GAMES! Now you can playgames in the Meelan app. Challenge your friends and try making atop score! • Now you can have your private account and can sharemoments only with the people you want. • You can create acollection of your favourite videos and pictures for later watch. •Feeling bored... Not anymore! Meelan has added a feature which willfind you people whose online and interested in chatting. • Now#Hashtags are active and you can find the related stuff by justfollowing the hashtag. Features • Filters: Amazing fun filters withfacial recognition • Photo: Post up to 9 photos in one go. Alsofeatures full image option for those who want the best qualityuploads. Or take a selfie with our fun filters • Video: Createshort videos with filters and share it. Enjoy a seamless userexperience. If you like Meelan, please share it with yourfamily and friends. Thank you for using Meelan! We regularly updateour app to make it better for you.